Even I cried when I just read my last blog post about my late mother. It made me want to document the year of mourning, or at least the first three months. Here goes. After the shloshim I vowed to go to synagogue once a week to say Kaddish for my mother. A noble vow, but making vows isn’t what it used to be. Once, in August 1966 during a visit to a cave on Mount Zion, I vowed to return to Israel, not just for a five-week summer adventure, but for a whole year. I wanted to learn Hebrew and figured it would be easier in Jerusalem than Cleveland. I kept that vow, returned to Jerusalem on August 1, 1967, but instead of staying one year, I stayed forty-seven. Oy. That sounds like such a long time. You would think that anyone who lived in Israel for forty-seven years would not only be able to read Hebrew fluently, but also write it. Instead, I became a promoter of English writing in Israel. But I digress. The point is The Vow. One drizzly morning at 6:30 I checked out a Sephardic minyan on the moshav where I live. A woman stood near the door cutting sprigs of hyssop. Must have been a Friday and she was preparing the strong-scented herbs for the havdalah service. Or maybe she put them in a cheese spread. I don’t know; I didn’t ask. Rather, I walked to stand behind the mehitza and tried to find my place in the prayer book. On the other side of the latticed barrier stood twelve men of assorted head coverings and shirt sizes praying in different accents. Turns out the Ashkenazim on this moshav go to the Sephardic shul during the week. Yes, Messiah. Are you listening? They pray together! In fact one of the Ashkenazim got up and gave a talk about how the Israel Defense Forces should be run according to Torah law. This riled me, so I muttered the mourner’s Kaddish, not necessarily at the appropriate moment, and rushed home to my left-wing newspaper. The next Kaddish I got in on Yom Kippur, since I was already there in the Ashkenazi shul. Ever since my bat mitzvah, when I was 65, I’ve lost interest in organized prayer. Nonetheless, I still believed A vow is a vow, though the thought also occurred to me that my mother probably wouldn’t care one way or the other if I said Kaddish, stayed in bed or played golf, as long as I was healthy. The next attempt at Kaddish was Simchat Torah at a Reform synagogue in Mevasseret, but I arrived too late, so only managed a small paper cup of grape juice. The Reform synagogue in Jerusalem where I had my bat mitzvah—the shul I don’t go to on a regular basis—is a 25-minute drive from the moshav. It seems a shame to sit in a car for 50 minutes in order to say a 90-second prayer. So you see, it was very easy for me to talk myself out of saying Kaddish for my mother on a regular basis, be it an Orthodox or Reform setting, vow or no vow. What I did do last week was visit London. I haven’t done anything this normal in fourteen years, ever since my mother was diagnosed with Alzheimer’s. Over those years, every time I left Israel I sat on a crowded, uncomfortable airplane for twelve hours, followed by a plastic chair at Newark Airport for three hours and then a narrow seat for a ninety minute flight to Cleveland. 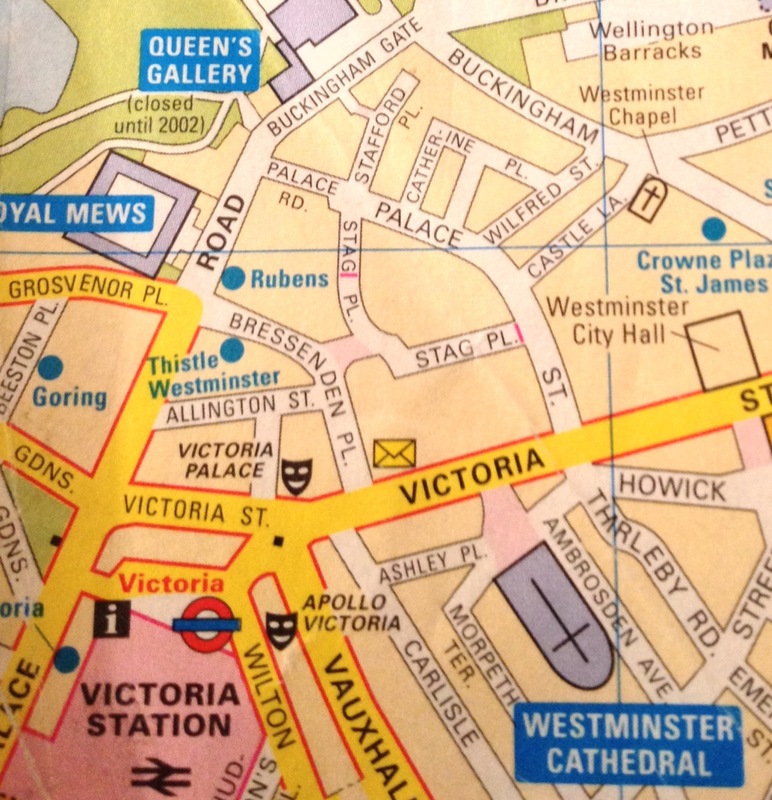 Last week, in four and a half hours I was in London! A trip to the Biblical Zoo could not have been easier. My British girlfriend held my hand as she fed my Oyster card some quid for the tube. By Day Two in London I was buzzing around all by myself underground and even above on the Docklands Light Railway. 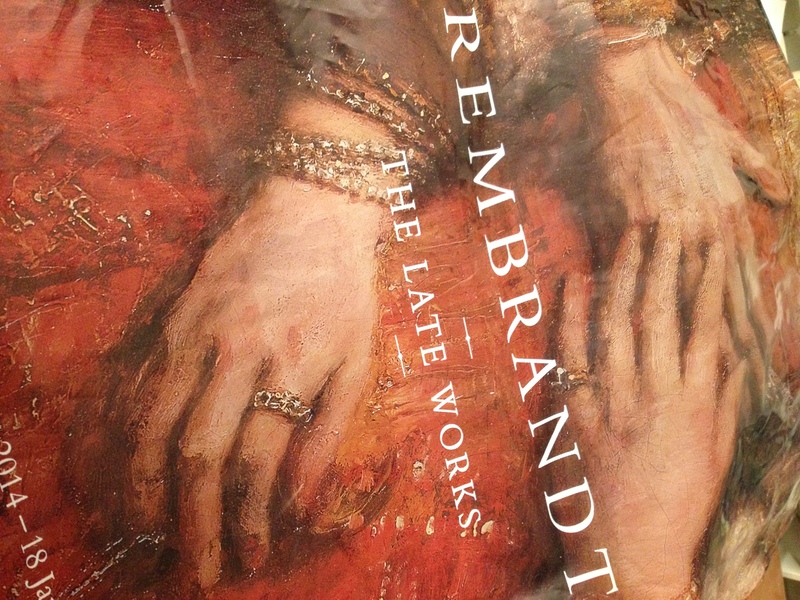 I went to Saddler Wells for a modern ballet and a Methodist church with a wooden dome that serves as a culture venue during the week for an evening of British folk music, but it was only in the National Gallery’s exhibit “Rembrandt: The Late Works” that I thought of my mother. Standing in a dark room, first cousin to the cave on Mount Zion, I saw an old man blessing a young boy: Rembrandt’s “Jacob Blessing the Sons of Joseph.” All this darkness—a dark gallery totally inconducive to iPhone photography, a painted scene framed by dark, heavy curtains, the only light coming from Jacob’s white pj’s and pillow, a dying patriarch in his bed under a dark red blanket—put me in a dark mood. Jacob got it wrong. He blessed the younger son, Ephraim, with his right hand, a gesture usually reserved for the elder son. Joseph looks on with understanding and tenderness. Whatever, he seems to be saying to himself. My father is old and dying. tears sitting in the dark corners of our eyes, like the darkness in the Rembrandt gallery of the National Gallery and I was overcome with tenderness from the idea of Generations and gratefulness for Rembrandt’s Late Works and acceptance, too, of God’s strange and glorious Ways. This entry was posted in Grief and Mourning, Uncategorized and tagged Kaddish, Rembrandt, The Late Works. Bookmark the permalink.